Moving stories is a very exciting collaboration between Curious Ostrich and ’spacetocreate’ – a community arts organisation specialising in participatory visual arts. We are a portfolio partner within the Community Voice initiative funded by the Big Lottery. Our project aims to engage people of all ages and with diverse health and social care needs, in telling their stories in ways that can be used to shape the planning and delivery of services in Pembrokeshire. 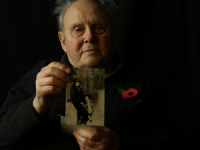 Please visit the Moving Stories dedicated website here.